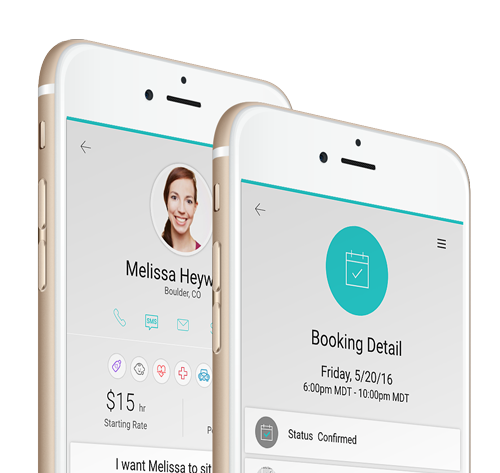 Use the Sitter app to share, book, manage, and pay your sitters in a tap! Watch the video and see how easy it is to book, pay, and connect with trusted babysitters. Only you will see them. Their information is completely private. We won’t share their info or spam them. And, they don’t need the app! Select the date and time. You’re done! We’ll send the details to your sitters. Your sitters respond with a yes or no. We’ll manage the communication and let you know when a sitter accepts. Trouble with late-night math? Always forget the ATM? We’ll take care it. You can view their rate in their profile. If you and your sitter agree on a different rate, you can always change it before you pay them. We’ll start and stop the timer at the times in your booking or you can open the app and start or stop it early. Add a tip or reimbursement. Before paying, you can add a tip or reimburse them for the pizza. The best babysitters are the ones referred by friends. The second-best babysitters are the ones in your neighborhood. With Sitter, you can find them both ways.  Connect with friends and see the sitters they use. Check out your shared connections and their profile. See one you like? Introduce yourself! Then add them to your team of trusted sitters! Set your radius and see the sitters near you! Check out their profile. See one you like? Introduce yourself via chat. Ask some questions. Get to know them. Even set up a time to meet. Love ’em? Add them to your list! Then, book them and head on out for a night on the town. 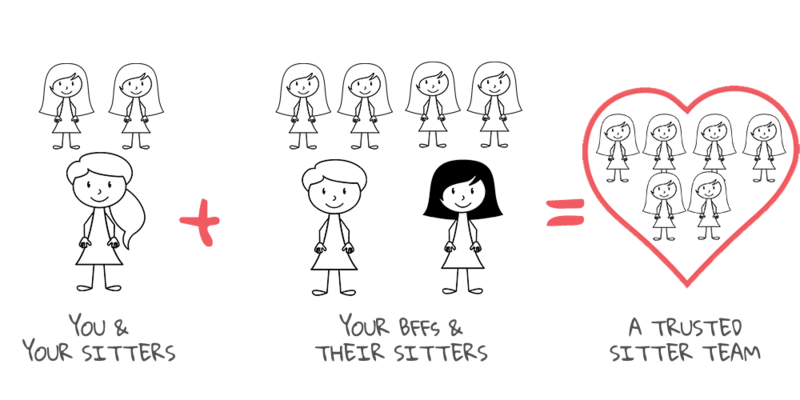 Join thousands of parents across the country who rely on Sitter for all their babysitting needs.